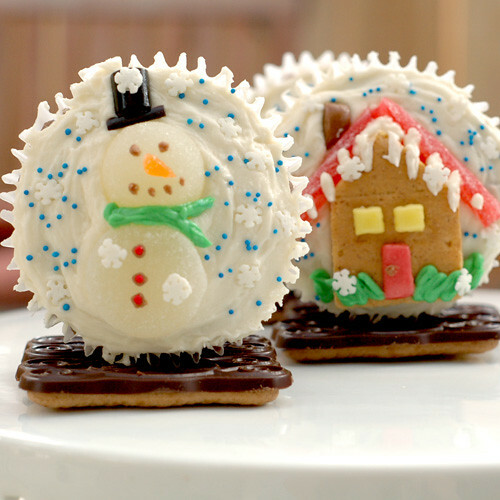 Wow, these look fantastic and so festive. I also love your cake stand. I was sooo hoping you would do a tutorial on these! They are beyond cute!! This is absolutely amazing! Wonderful..well, everything! Nicely done my friend! Great job! 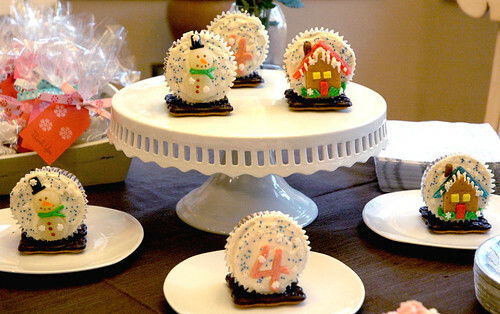 I made these last year and they were a hit! These are so cute! I think they would be great as decor and dessert! 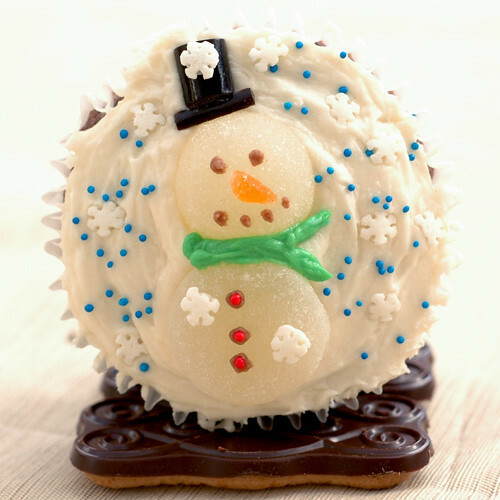 What a really fantastic winter cupcake idea. These are toooo cute! These are the cutest things I’ve ever seen!!! 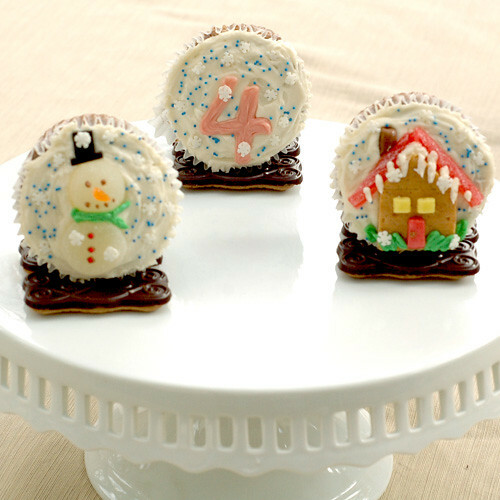 I have to make these for my home! These are beautiful! 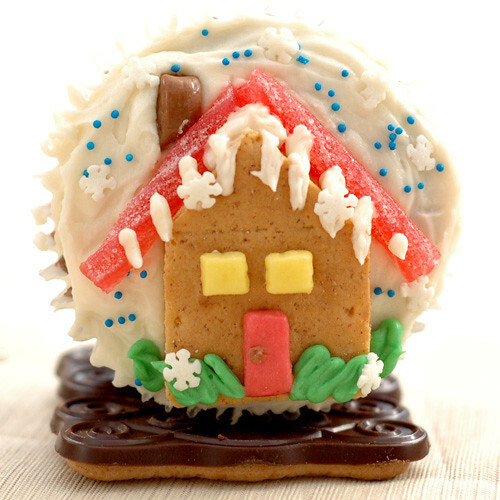 I love snow globes and I love the pretty cookies you put these on, they make lovely stands. What a gorgeous idea! Makes me want snow here!